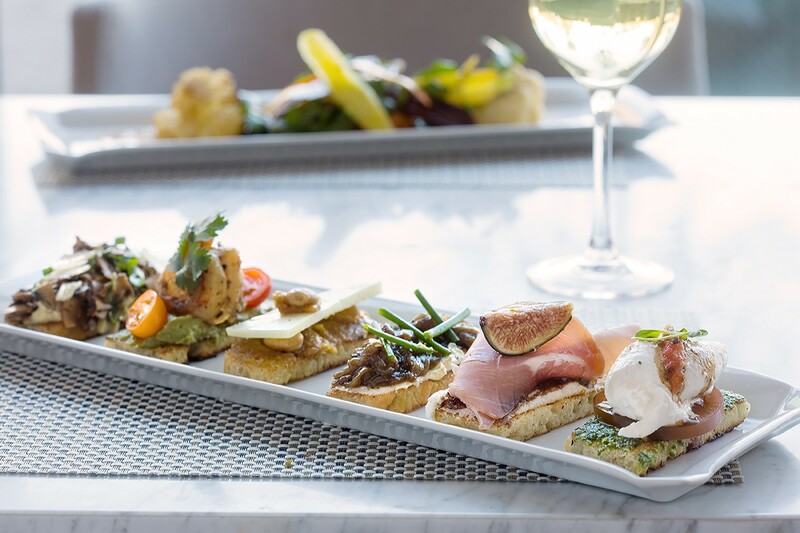 Fig & Olive's signature crostini topped with a variety of Mediterranean ingredients, including burrata, pesto, tomato and balsamic; and manchego, fig and Marcona almonds. Photo by Shannon O'Hara. Diners interested in being one of the very first to see the new place tonight should call the restaurant at (832) 632-6632. Online reservations via the Fig & Olive Houston website are available starting tomorrow. New photos were released today as well of the finished bar and dining room, featuring chairs upholstered in warm terracotta fabric and a well-lit, open space with natural wood features. 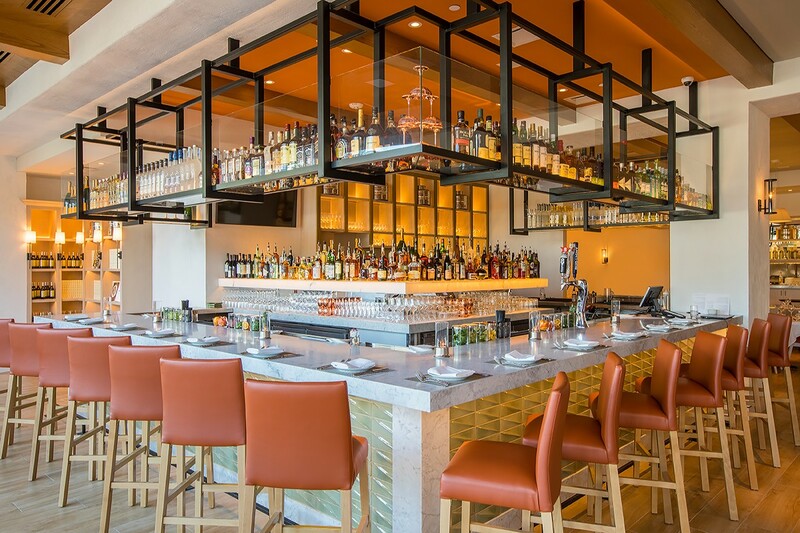 The bar at newly opened Fig & Olive in The Galleria. Photo by Shannon O’Hara. It is the latest location for an upscale chain that already has locations in New York, Los Angeles, Newport Beach, Chicago, and Washington D.C. It’s the newest restaurant for the revamped western end of Houston’s long-time upscale mall. Some dishes, though, are exclusive to the new Houston restaurant. These include the Mosaic of Vegetables, comprised of vegetable fritters, glazed eggplant, and carrot & cilantro salad; Cured Duck topped with Granny Smith apple, olive tapenade, and 18-year balsamic; Balsamic Glazed Short Rib served with crispy polenta, frisée, and lardons of smoked bacon; and Olive Oil Cake soaked in Moroccan syrup and topped with blood orange dust. The restaurant is meant to evoke the French Riviera—so high-quality olive oil is a big-deal ingredient. Diners can purchase bottles of it to take home, too. Other ingredients set to make appearances on plates include raw zucchini with fruity picholine olive oil; kabocha squash with pickled mushrooms and pears; and burrata accented with dark drizzles of syrupy balsamic vinegar barrel-aged for 18 years. Fig & Olive Houston chef Thomas Laczynski. Photo by Shannon O’Hara. 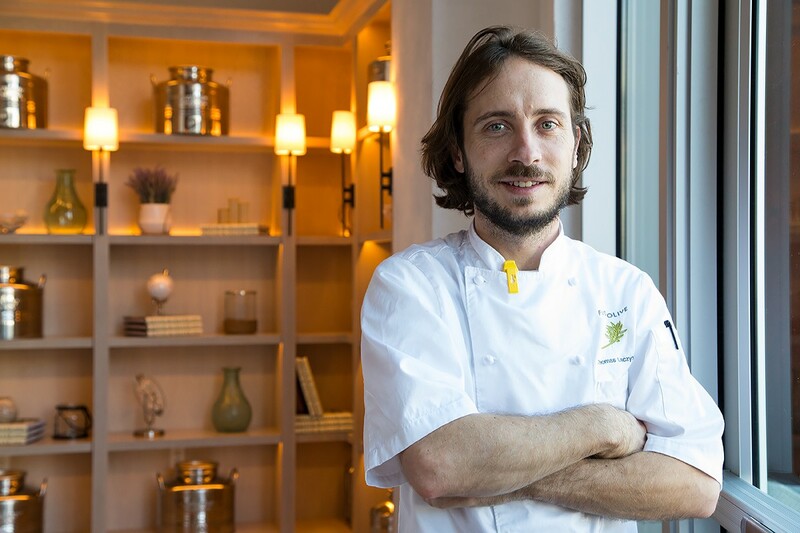 More details on Fig & Olive’s features are in our previous article on the new restaurant.